This award is all about supervising safe climbing and abseiling sessions on single pitch crags. 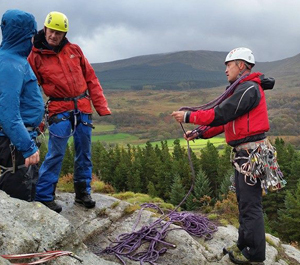 Whether you're a parent, a volunteer or an outdoor centre instructor, the Single Pitch Award has been designed to maintain high standards of supervision so that people can enjoy safe sessions in this increasingly popular sport. Before you book onto a Single Pitch Award training course, make sure you have registered on the scheme with Mountain Training. - 40 traditional lead climbs on at least 3 different rock types in the UK.